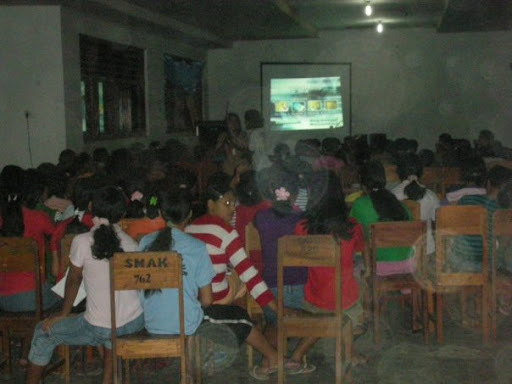 OTMI's anti-human trafficking curriculum and training kit (Derita Bisu) was distributed through the Scout movement, a popular activity for youth in Indonesia and chosen because its members are prime targets for labor recruiters. We provided training of trainer workshops to enable 121 Scout “super trainers” to train school-level Scout leaders to use our video training kit and learn how to engage the media to cover anti-trafficking issues. These “super trainers” trained 1,340 Scout leaders in 253 schools to educate more than 35,000 students within a 14-month project. A total of 50,561 people took part in the anti-trafficking programme. An estimated 2,450,000 potential radio listeners heard the accompanying anti-trafficking radio drama. The pilot scheme for this project was nominated as one of the world’s best practices in the US State Department’s 2006 Trafficking in Persons report by the then Secretary of State Condoleezza Rice.